The reason I’ve not blogged for a week is that I was away on a study trip to France. 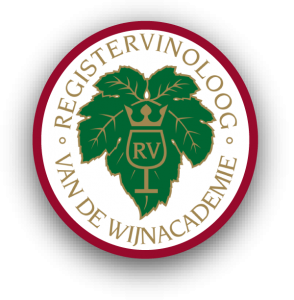 This trip is part of the wine training I’m taking at the Dutch wine academy (Wijnacademie) to become a registered vinologist (vinoloog). A vinologist is not exactly the same as an oenologist (who has a deeper understanding of winemaking) and it is not exactly the same as a sommelier either (which is, or should be, an expert on pairing food and wine). A vinologist has a basic understanding of viticulture and wine making, knows grape varieties and appellations from all over the world, and is able to recognize them in a blind tasting. An optional part of the program is a study trip to the Loire Valley and Bordeaux wine regions. Our first stop was a meeting and tasting session with wine makers from the Touraine region, and more specifically wines of the new appellations of Touraine-Oisly, Touraine-Chenonceaux, and Touraine-Amboise. 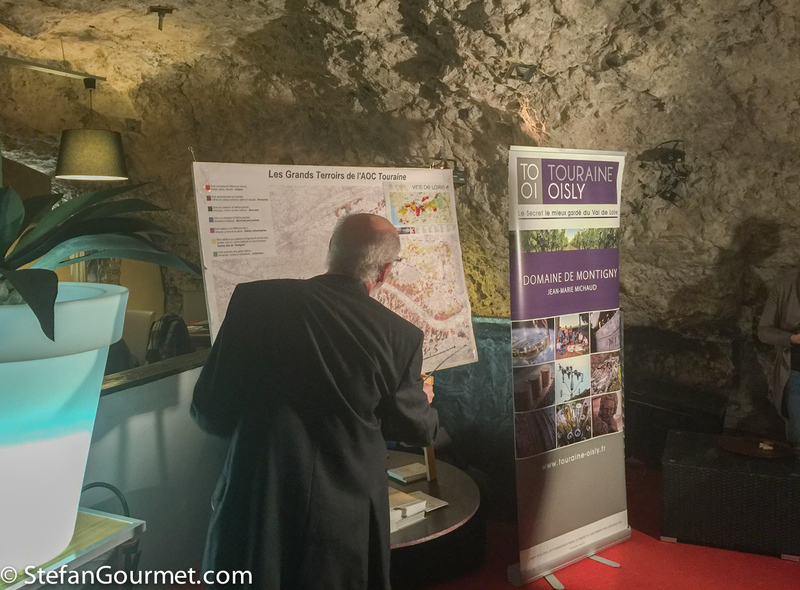 We had the tasting session in a restaurant inside a cave that was made by quarrying limestone, tasting a handful of wines of each appellation. 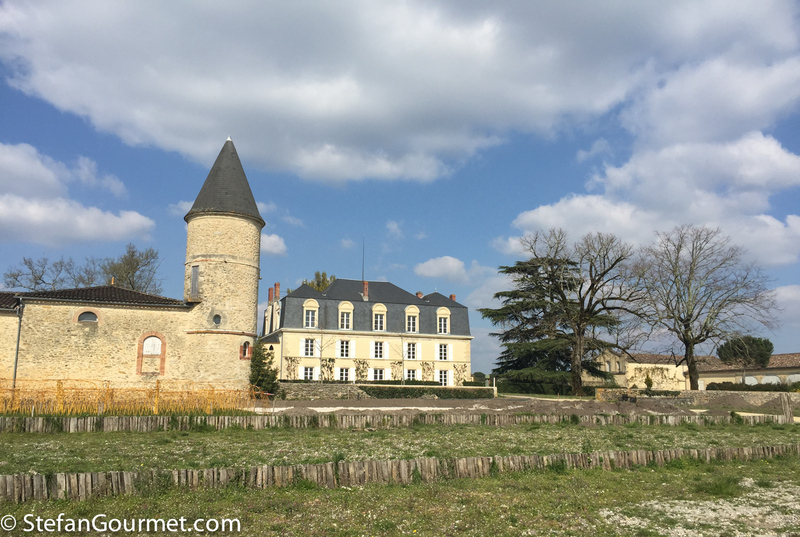 Touraine Oisly is a small appellation in which dry whites are produced from Sauvignon Blanc. The whites from Touraine-Chenonceaux are also made from Sauvignon Blanc and are quite similar, but they make reds with a blend of Cabernet Franc and Malbec as well. The reds from Touraine-Amboise that we tasted are made of 100% Malbec, which is remarkable given the cool climate of the region (compared to the better known production areas of Malbec in Mendoza and Cahors). Whites from that appellation are made of Chenin Blanc and were my favorite of the tasting session. After the tasting we had dinner with typical dishes from the South-West: terrine of foie gras and duck breast. Our next stop the following morning was a visit to Domaine Charles Joguet in Chinon. 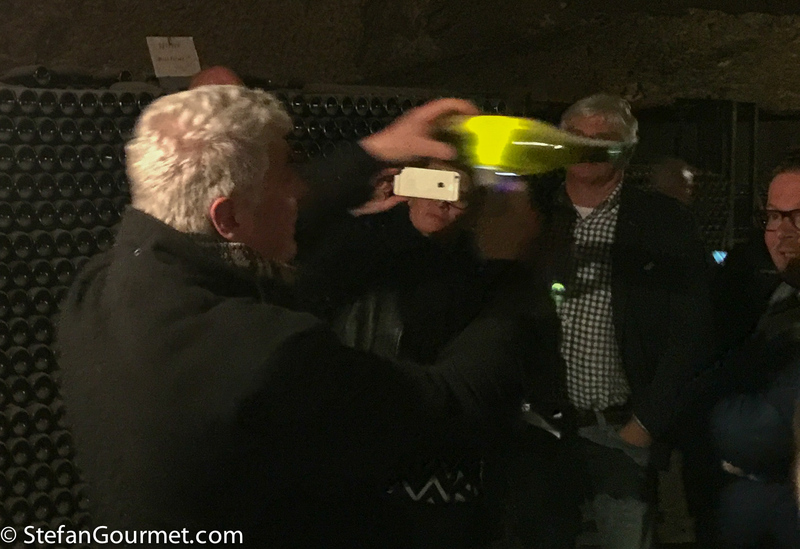 Since the tasting room in the winery was too small for our group, we tasted in the huge cellar inside another limestone cave. Chinon is famous for its reds from Cabernet Franc, and we tasted seven different wines made from seven different vineyards. It was interesting to note how the difference in soil and exposition came out in the wines. My favorite red was Clos du Chêne Vert, named after a big green oak tree in the vineyard. My favorite wine of the tasting session was the Chenin Blanc that had wonderful minerality. 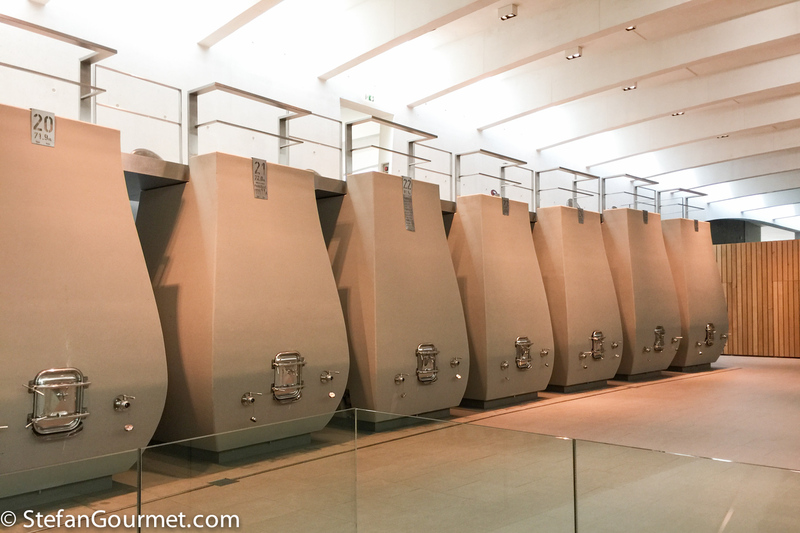 At Langlois-Chateau, the wines age for at least three years on the lees after the second fermentation in the bottle (which produces the bubbles) to give the wine more depth of flavor and roundness. In the photo you can see the lees on the bottom of the bottle. The minimum aging requirement is 9 months for Crémant and 15 months for Champagne. One of the most intriguing steps of the traditional method is the remuage, turning the bottles to move the lees to the neck of the bottle to be able to remove them (dégorgement). The turning of the bottles used to be done by hand, but nowadays a machine called a gyropalette can turn 500 bottles at once. Langlois-Chateau produces whites, rosé, reds, and sparkling wines and we tasted an example of each. 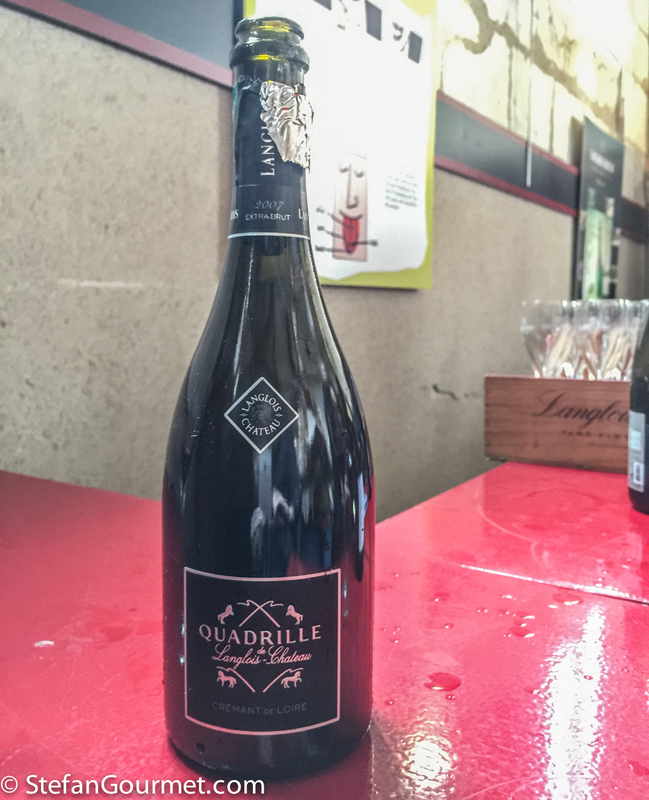 My favorite was the Quadrille Extra Brut 2007, a crémant made of 60% Chenin Blanc, 15% Chardonnay, 15% Cabernet Franc, and 10% Pinot Noir. It is aged for at least 4 years on the lees and offers complexity and elegance. This winery was the conclusion of our visit to the Loire valley. 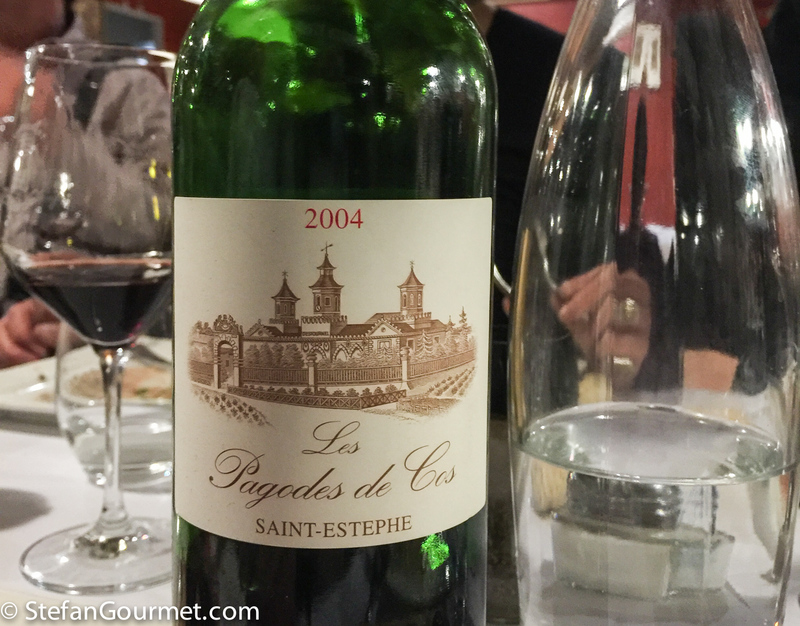 We had dinner at Le Bistro du Sommelier in Bordeaux. The food is good, but more important is the great wine list with Bordeaux wines at prices close to what you would pay in a bottle shop. We did a ‘game’ where at each table we selected (and paid for) the bottles we were having with our dinner. Our table picked a 2001 Château Haut Bergeron Sauternes with the terrine of foie gras and artichoke, a velvety 2009 Château Le Chemin 2009 Pomerol with the T-bone veal steak, a complex and still youthful 2000 Château Quinault St-Emilion Grand Cru, and to finish a 1996 Château d’Yquem with the dessert of apple tart. All wines were great, but of course the Yquem was exceptional with great complexity and balance. The following morning we had a lecture from Kees van Leeuwen, professor of viticulture at Bordeaux Sciences Agro, which is part of Bordeaux University’s Institut des Sciences de la Vigne et du Vin. Kees van Leeuwen conducts research on the concept of terroir in viticulture. He started by explaining the difference between ‘brand wines’ (wines that often express a grape variety and are as much as possible the same every vintage by blending different terroirs) and ‘terroir wines’ (wines from a specific terroir that express the terroir and the vintage). Then he told us about a research project at Château Cheval Blanc in which he measured the influence of different factors (soil type, grape variety, and the vintage i.e. weather) on the wine over a period of eight years. The results were very interesting, as the vintage turned out to be more influential than expected. In short, a dry year in Bordeaux is a good year, but a wet year isn’t necessarily a bad year. The impact of terroir on wine was then illustrated by tasting five wines from five different terroirs within Saint-Émilion, all of the same vintage. The terroirs were wet sandy soil (Château Vieux Longa), dry sandy soil (Château Pindefleurs), chalk plateau in St-Émilion (Château Haut-Fayan), chalk plateau in Puisseguin (a bit cooler, Vieux Château Pelletan), and slopes with a southern exposure in Saint-Émilion (Château Larcis Ducasse, 1er Grand Cru Classé). It was a very interesting lecture indeed, and tasting the wines helped to grasp the concept. Next we visited Château Guibeau in Puisseguin, a ‘satellite’ of Saint-Émilion. This family-owned winery produces nice wines from merlot and cabernet franc that offer great value for money. The owners told us how they made the switch to organic viticulture and wine making and we made a tour of the winery. 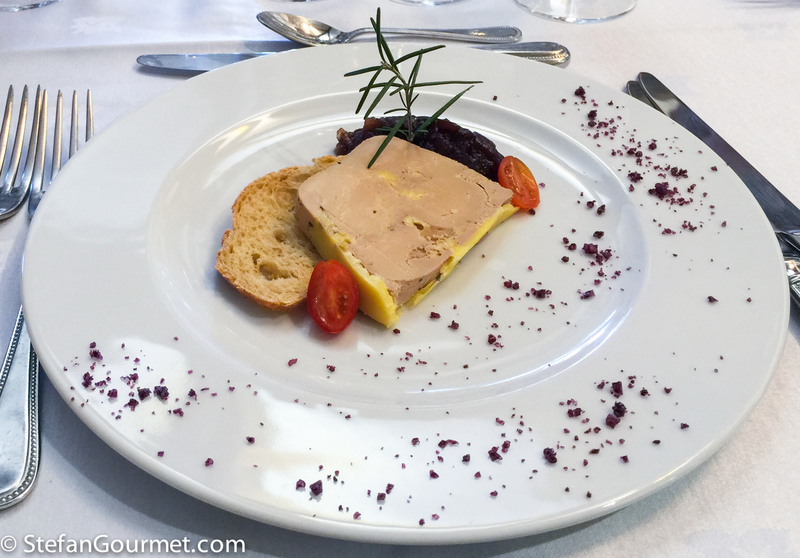 We then tasted the wines with a lunch, starting with the 2012 vintage of Château Guibeau with a terrine of foie gras with red onion compote and wine-impregnated salt. The pairing of a red Puisseguin Saint-Émilion with foie gras really worked because of the onion compote. We also tasted the premium wine Château Guibot La Fourvieille of vintages 2012 and 2007, the latter being at peak maturity. 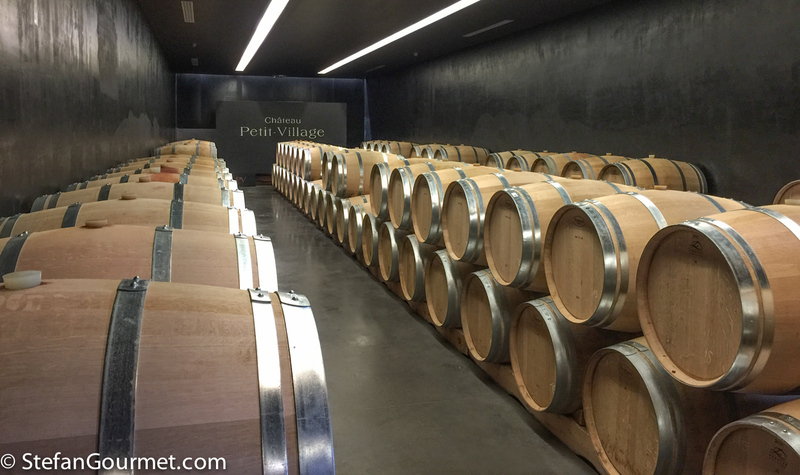 Our next stop was Château Petit-Village in Pomerol. After a tour of the winery we tasted the wines, the 2012 vintage of both the ‘second wine’ Le Jardin du Petit-Village (100% Merlot) and the ‘grand vin’ Château Petit-Village (80% Merlot and 20% Cabernet Franc). The second wine was ready to drink, velvety and fruity. The grand vin has more body and needs some more time in the bottle. 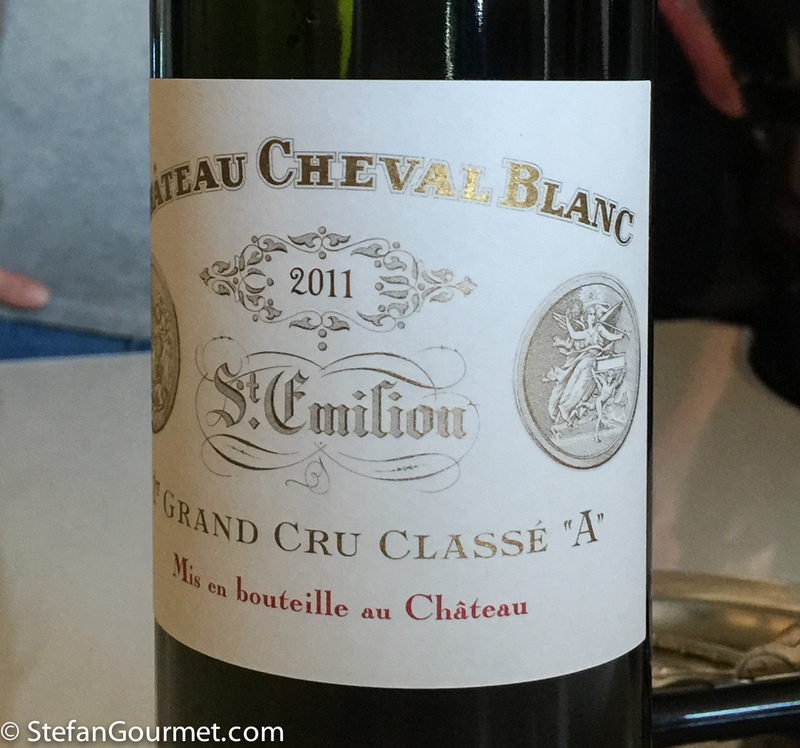 We ended our day on the Right Bank with a visit to Château Cheval Blanc, one of the four 1er Grand Cru Classé “A” in Saint-Émilion. The new winery was built recently to be able to vinify each of the 44 plots separately. The modern architecture makes it look nice as well. Cheval Blanc has a very high percentage of Cabernet Franc (often above 50%). Our tour of the winery also included an explanation of the proprietary clone development for Cabernet Franc at Cheval Blanc. 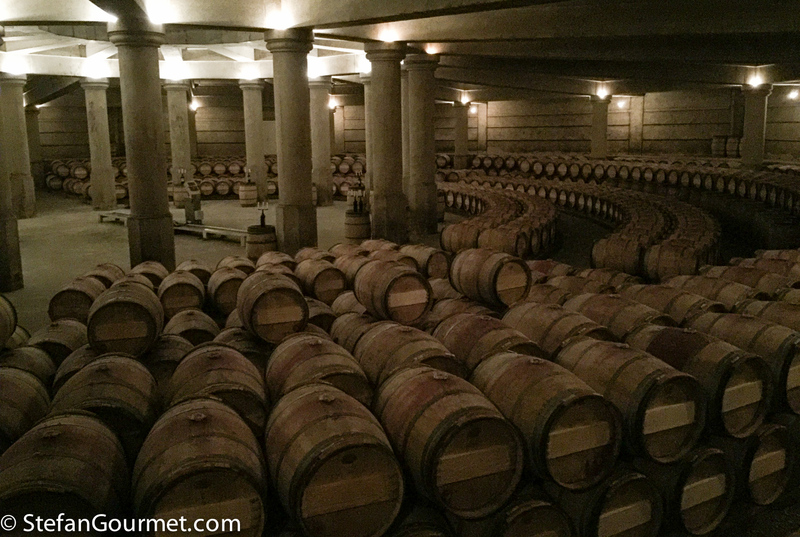 We also learned that the second wine of a châteaux is more interesting if they also produce a third wine (which means that the second wine isn’t simply a blend of everything that is left after making the first wine). We had a free evening, so I used the opportunity to meet up with blogging friend Stéphane of My French Heaven. It was a pleasure to meet him in person at last, as we have been following each other’s blogs for four years already. 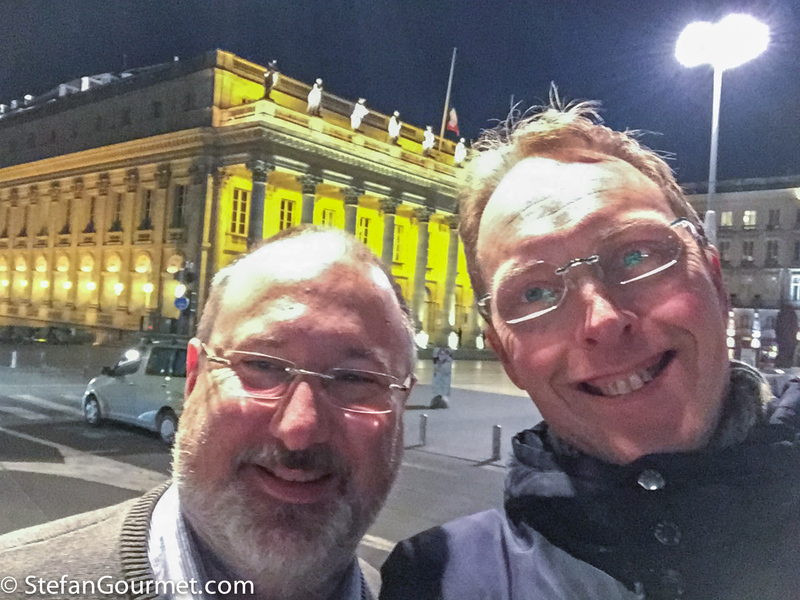 He showed me around downtown Bordeaux and we had a great time. The next morning we had some more opportunity to visit downtown Bordeaux. 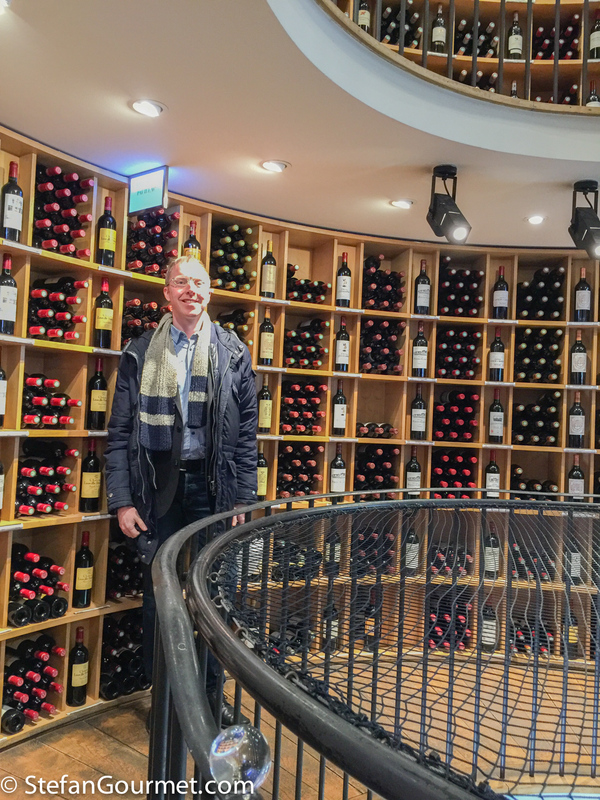 There are some wine stores there with an extraordinary collection of vintage Bordeaux, like l’Intendant. Given the prices (Château d’Yquem 1937 for 6000 euros) it was mostly looking instead of buying. 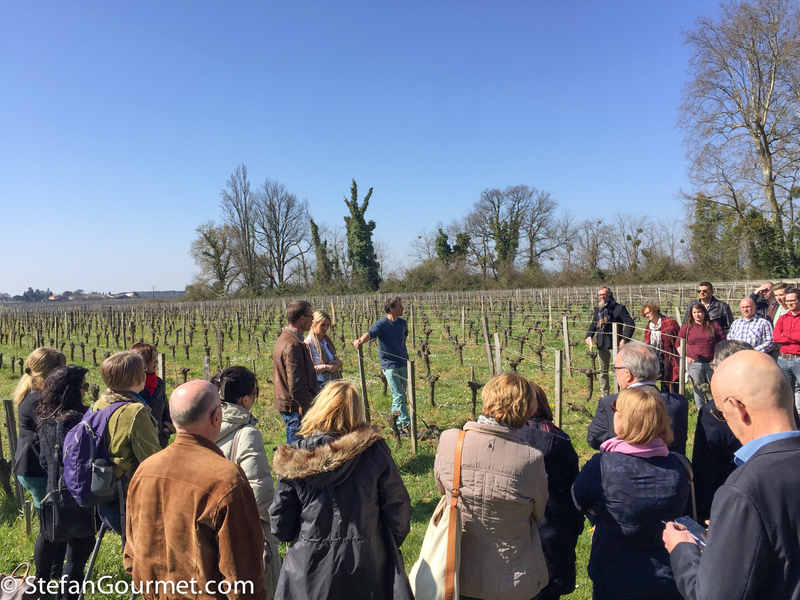 At lunchtime we visited the wine region of Entre-Deux-Mers, the area between the Garonne and Dordogne rivers. This is an appellation for dry whites, but in the same area a lot of red Bordeaux Supérieur is produced as well. 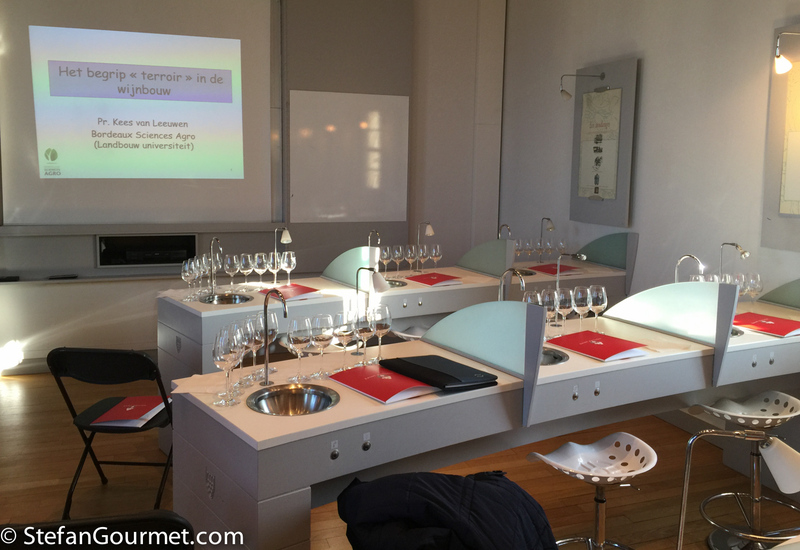 The dry whites of Entre-Deux-Mers are blends of Sauvignon Blanc, Sauvignon Gris, Sémillon, and Muscadelle and we tasted some fine examples of crisp whites. My favorite however was a 100% Sémillon aged in barriques of Château de Castelneau. I wasn’t the only one in our group who liked this wine, so it ran out of stock quickly. Then the owner phoned his wife to bring over some more, and she showed up with only 6 cartons of 6 bottles. So she ended up having to make a second trip. Our next stop was at Château Guiraud, 1er Grand Cru Classé Sauternes and the neighbor of Yquem. The winery isn’t fully organic, but they do use organic techniques like an ‘insect hotel’ to attract insects that will control pests naturally. 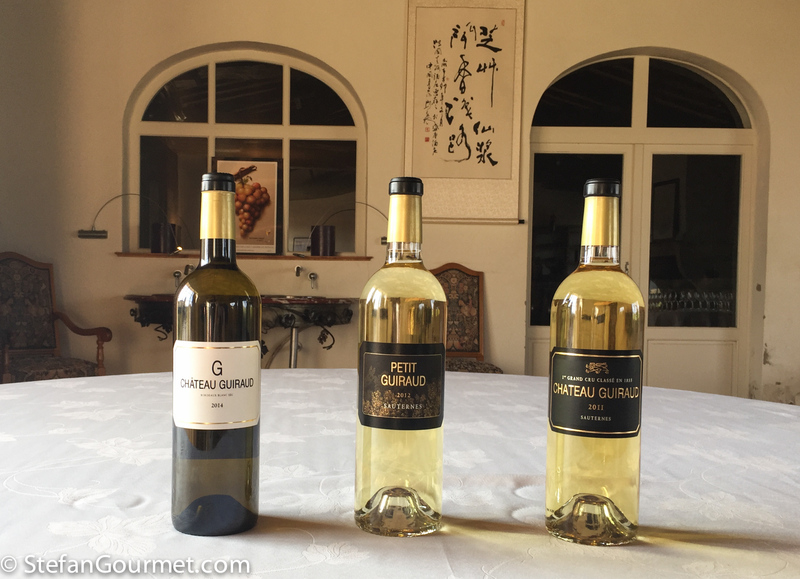 Although Guiraud is famous for its sweet botrytis wine, they make more and more of the dry “G” and the lighter sweet “Petit Guiraud”. My favorite was without a doubt the original Château Guiraud, of which we tasted the 1996 vintage. The wine had great balance and a wonderful aroma. It is great when a winery allows you to taste a matured wine instead of a young one and you have to guess how it will develop. We ended the day at Château Brown in Pessac-Léognan. They make a red of Cabernet Sauvignon, Merlot, and a drop of Petit Verdot, and a white of Sauvignon Blanc and Sémillon. 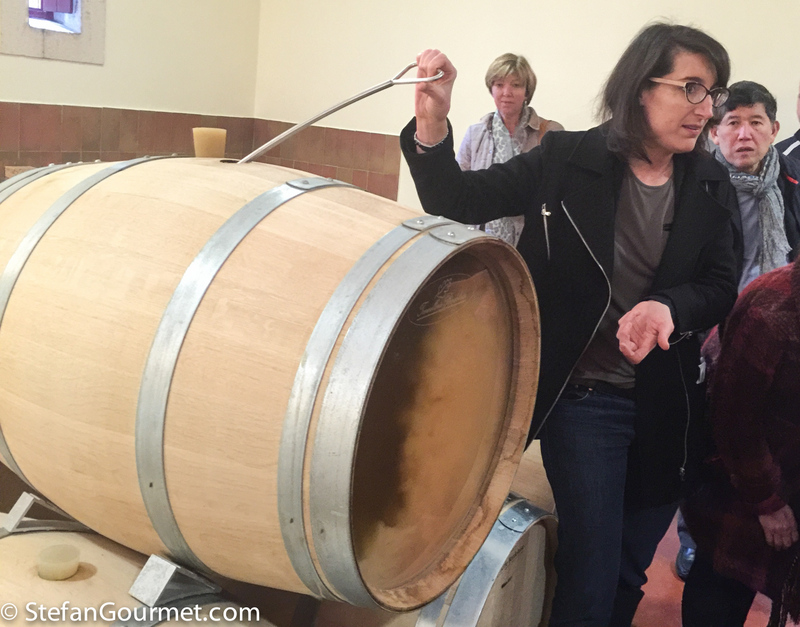 We started with a tour of the winery, and it was interesting to see a barrel with a glass cover so you could see what actually happens when the lees are stirred (batonnage). What was even more interesting, was the opportunity to taste the Cabernet Sauvignon, Merlot, Sauvignon Blanc, and Sémillon of the 2015 vintage separately as well as in the blend. This made it very clear that the Cabernet Sauvignon and Sauvignon Blanc provide the structure for the red and white respectively, while the Merlot and Sémillon provide the ‘flesh’. It was also clear that 2015 is going to be an excellent vintage. We had dinner at restaurant Chiopot where we did the same ‘game’ of ordering the wine per table as two nights before. We picked the 2004 of the second wine of Cos d’Estournel, which was delicious and at peak maturity. Our last day started with a tour around many famous châteaux in the Médoc along the D2 road, including Cos d’Estournel in Saint-Estèphe. 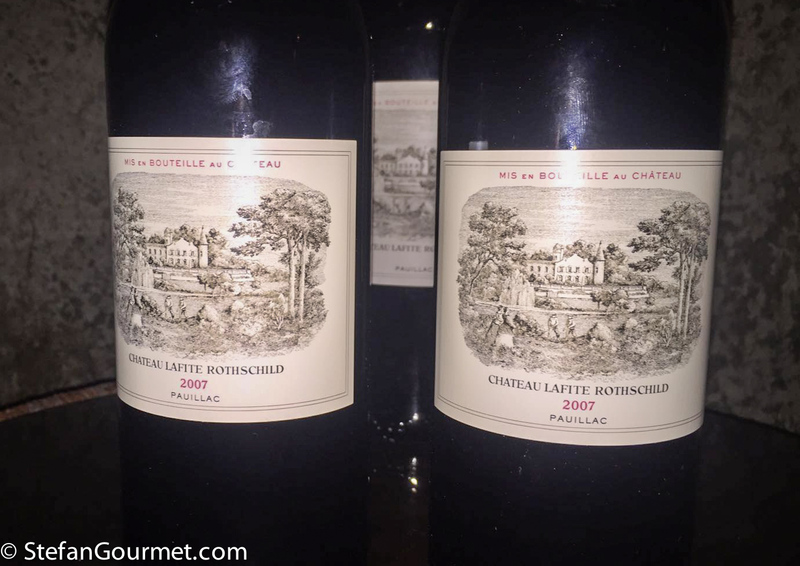 Then we visited Château Lafite-Rothschild, 1er Grand Cru Classé. Two branches of the Rotschild family each own their own château in Pauillac: Mouton-Rotschild and Lafite-Rotschild. The gravely soil of Pauillac, as can be seen in the photo, is ideal terroir for Cabernet Sauvignon. Because of the gravel the water will drain easily, which helps to limit the amount of growth of the vine and thus allow the grapes to mature better. 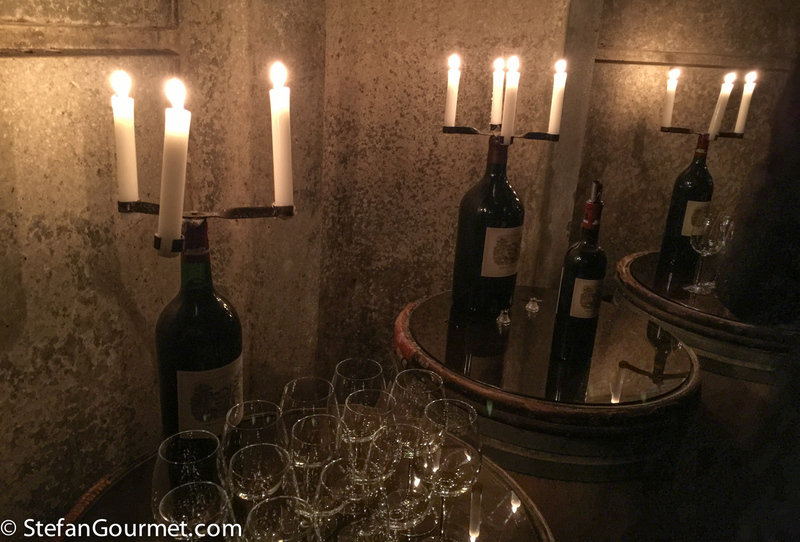 Even the tasting was extraordinary by candlelight in the cellar. We tasted the 2007 vintage. Although it had a clear Cabernet Sauvignon character instead of Cabernet Franc, it did remind me of Cheval Blanc in terms of elegance, freshness, complexity and finesse. The wine doesn’t lack in body, but it isn’t a Parkeresque blockbuster either. 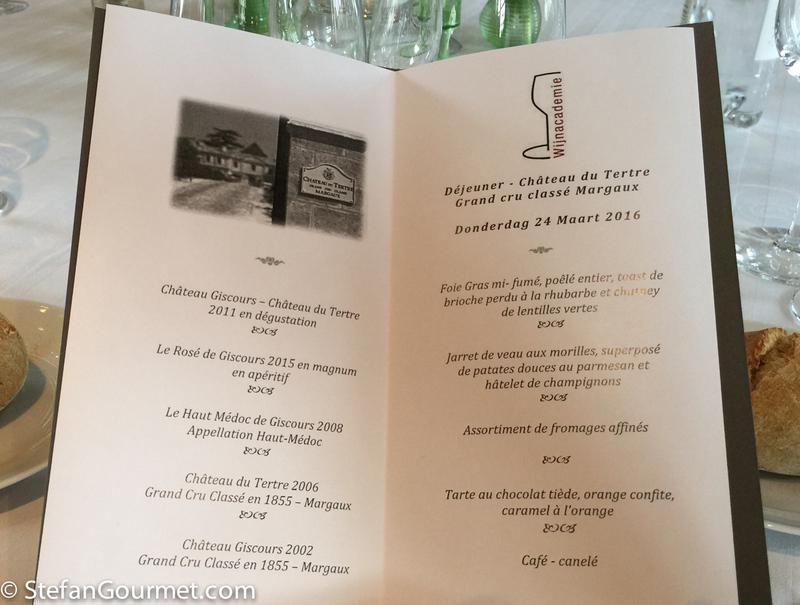 Our final visit was in Margaux at Château du Tertre, 5th Grand Cru Classé, where we also tasted the wines of Château Giscours, 3rd Grand Cru Classé, of the same owner. 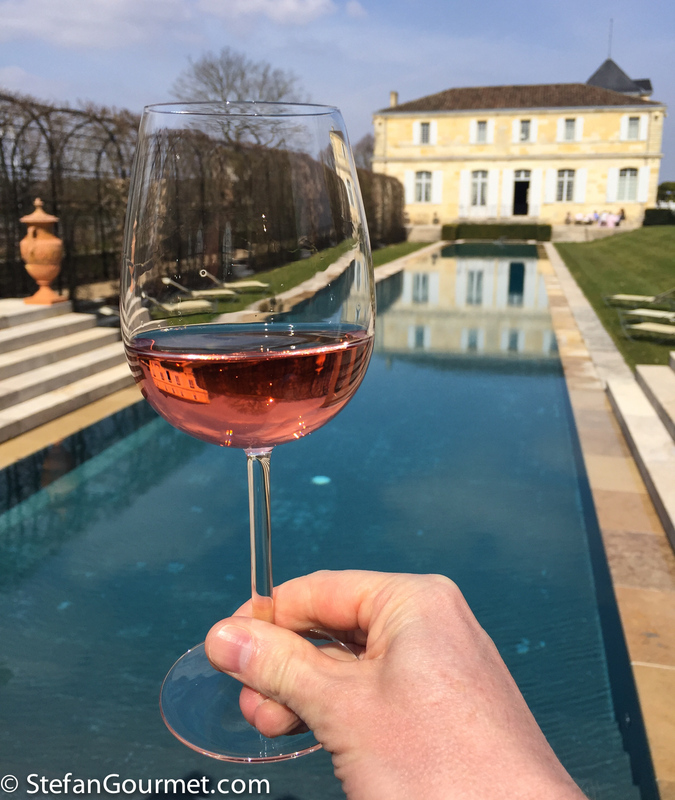 After a tour of the winery and tasting the 2011 vintage of Du Tertre and Giscours, we had the rosé of Giscours as aperitif by the pool. Then we had a nice lunch with older vintages of the wines of Du Tertre and Giscours, which were very nice indeed. Especially the 2002 of Château Giscours was at peak maturity and great to drink. This lunch was a wonderful conclusion of our trip before heading back to the Netherlands. This wine study trip has been one hell of a week! It was interesting, very enjoyable, and I learned a lot. 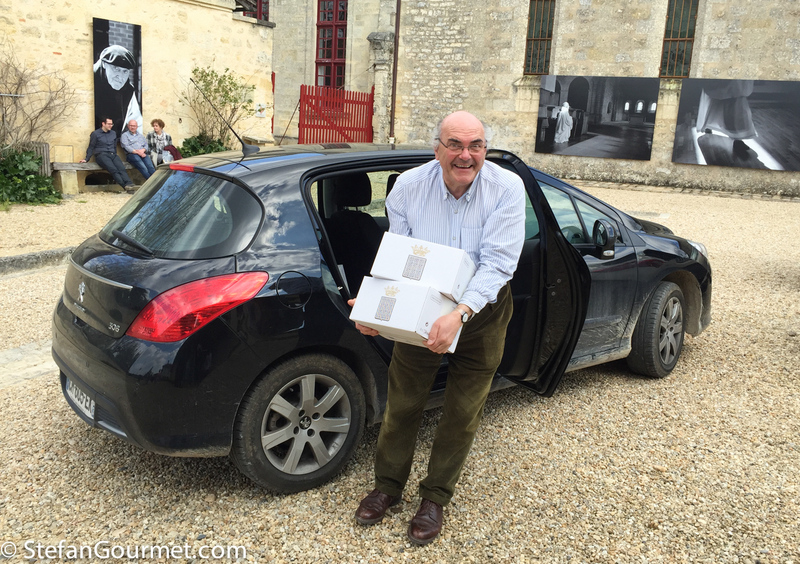 Although it was a great privilege to visit famous châteaux like Cheval Blanc and Lafite, I’ve also enjoyed the visits to more ‘humble’ wineries. It was interesting to see the contrast, and especially the middle class Bordeaux can offer great value as well as drinking pleasure. This was really fun reading about your trip in one post! And for explaining what a vinologist is. Mi stavo proprio chiedendo dove potevi essere. Un viaggi studio davvero… inebriante! Wow! That must have been the most amazing week. 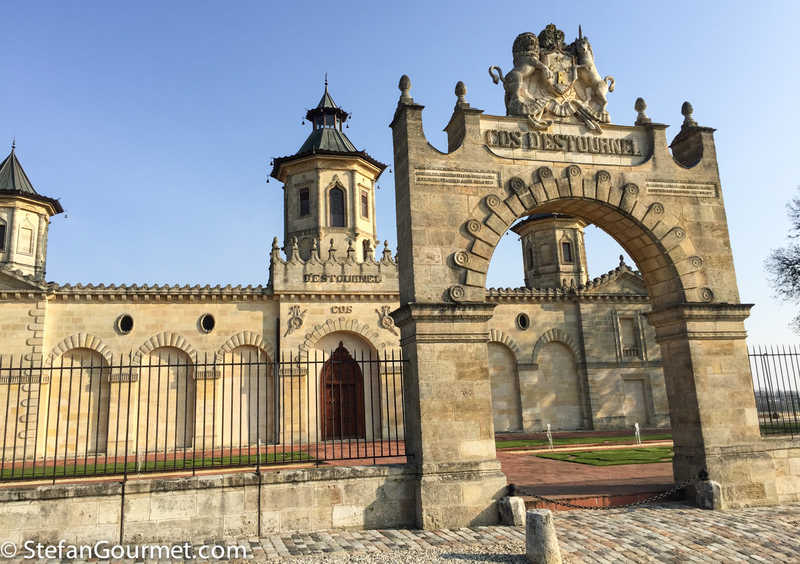 Next time you will have to come visit, we are only 2 hours east of Bordeaux. This was a very informative post and I now have some extra places to add to my ever growing list of wineries to visit. Now that was some productive trip! Glad you enjoyed yourself! What a brilliant trip Stefan. We were in Bordeaux last year and are going back to Le Loire Valley this for our cycling trip. This brings back such great memories of fantastic places in France. Vinology – how interesting! And so “a propo.” Are you planning a career change? What an amazing trip you had! It’s also good to see you got to meet up with Stéphane, I hadn’t seen him post in a while and was hoping he was okay. Wow that was an memorable and intensive excursion, lots to process and store in the memory bank. Wonderful ‘lecture’ Stefan [back to ‘serious’ reading at night!] and so happy you are able to take your interest and love for wine quite a few steps higher! Glad for the future of interest and knowledge in wine to see so many young people undertaking the lectures/tastings and [am NOT trying to be feminist or anything] nice to see so many interested gals in the number! Meeting Stephane an extra bonus 🙂 ! And next I travelled to ‘Eat, Play, Love’ and was again ‘there’ in Bordeaux with love of wine and more wonderful information . . . what a a fantastic Down Under morning! Hope you did not mind my mentioning your blog, Stefan . . .
I’ve learned so much from this post! What a great adventure. I’m always impressed how much effort you put into everything you do, at least food and wine related. I don’t know much about wine but I sure know more than I did before I got into cooking. And since I got into french cooking a little bit, i had to get a little more familiar but I will need a lot more training to get anywhere near you level. I think I mentioned it to you. My mom was born in Bordeaux. I can’t wait to visit there and check out those wineries. Oh, when I was reading your post I was reminded of my trip to Napa Valley and the only winery I actually remember from that trip. The Schramsberg Winery. They are famous in the us for making sparkling wine and they are very proud of their traditional french way of making it. They still turn the bottles by hand. Happy to see you finally got to meet Stéphane in person. Very cool. 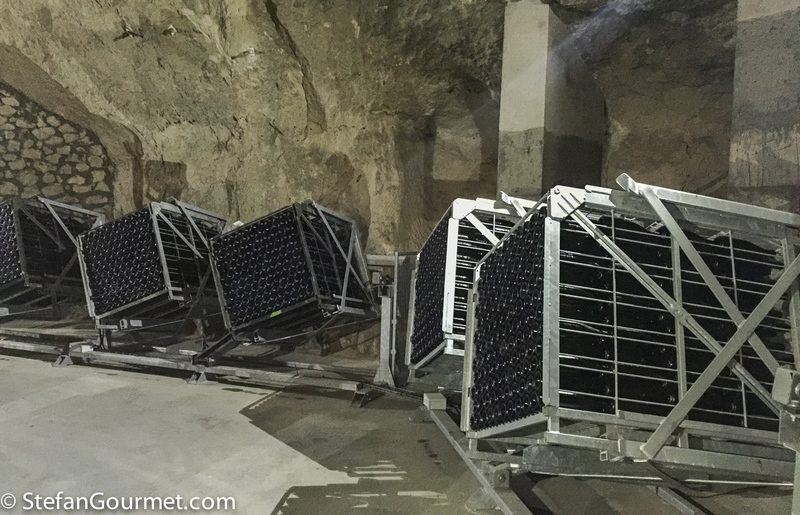 I will definitely stop in Amsterdam and let you know I’m visiting 🙂 I agree, I would not be able to tell the difference but the caves were beautiful and they would probably have to tear that old winery down to install that technology. Maybe they already have. I visited about 10 years ago.